These flexible, customizable flyer templates and unique flyer examples make it easy for you to create eye-catching flyers for your next charity fundraiser or non-profit fundraising event. 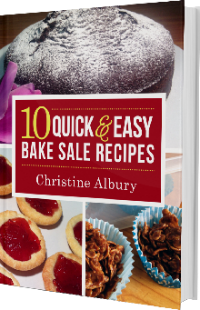 There are flyer designs and templates for school fundraisers, bake sales, church fundraisers, high-end non-profit fundraising events, as well as fun ideas for personal fundraising and fundraiser flyers. This elegant cocktail party flyer template can be customized for any high-end and elegant party, charity silent auction, or evening fundraising event. 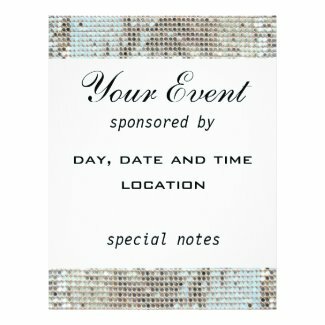 If you will be having live music or a DJ at your party or event, you may also want to check out this collection of party flyers, which can also be customized to suit the theme of your event. 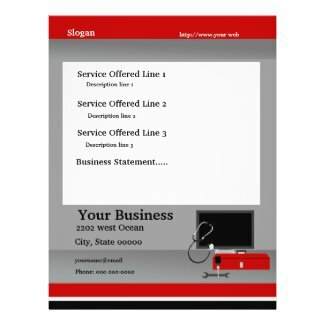 These simple and no-frills flyer ideas allow you to create your flyers with a sleek style... minus the clutter. 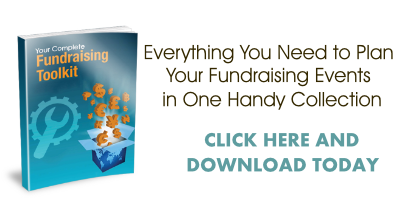 These designs and templates are basic yet beautiful, and are ideal for most charity fundraisers. These creative templates for flyers are perfect for any backyard or outdoor sale, fundraising event or meeting. 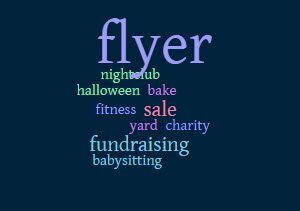 These fitness flyer ideas are great for any health, fitness or exercise-themed fundraising charity event. 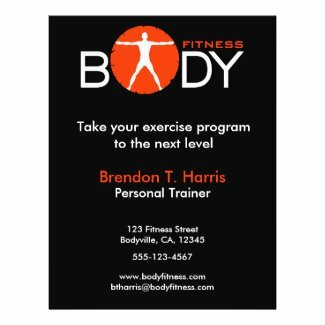 Customize the fitness flyer with your details and even your own photos and graphics. 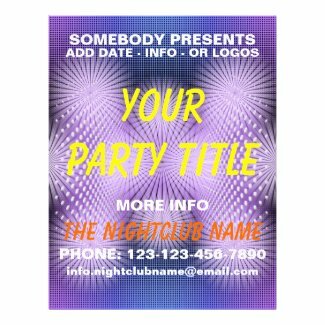 These nightclub flyer designs and templates are great for proms, mother-son dances, father-daughter dances, dance fundraising events and fun nightclub-style charity fundraisers. These Halloween party flyer ideas, templates and designs are colorful and creative. They can be customized to suit your Halloween Party or Halloween fundraising event for your favorite non-profit or charity. 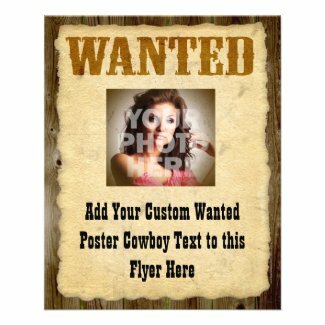 These Country and Western flyers are great for outdoor BBQ's and cook-offs, as well as all Western-themed events, parties and fundraisers. 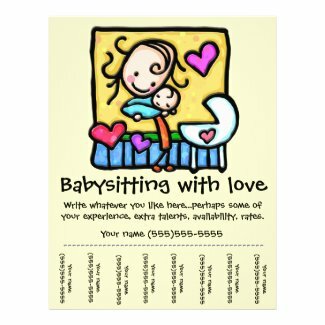 You can customize these babysitting flyers to suit your needs exactly. They are also appropriate for a high school fundraiser that offers babysitting services to raise money for charity. A great fundraising idea is to hold a computer repair clinic for your members, congregation or school. You can contract with various computer repair specialists in your area to offer their services at a reduced price or even for free. 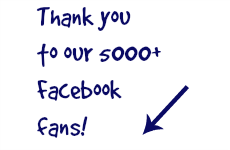 They will benefit from the promotion that your fundraising event gives them. Summer is a perfect time to make extra money for yourself or to raise money for charity by providing garden and lawn care services. 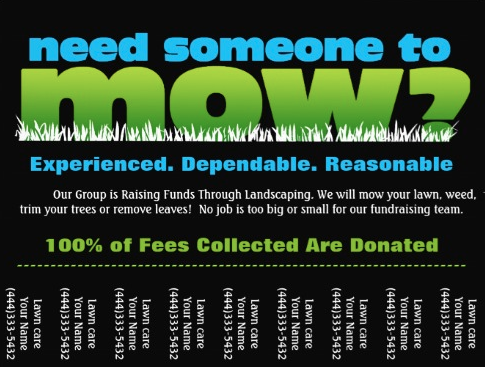 These lawn care flyer designs and templates are a great way to promote your services or your non-profit fundraisers. House cleaning can be a profitable business and a great way to raise money for charity. 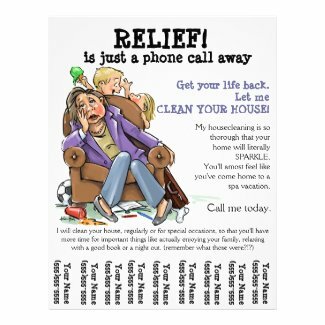 These house cleaning flyer ideas are the perfect way for you to promote your services within the community. 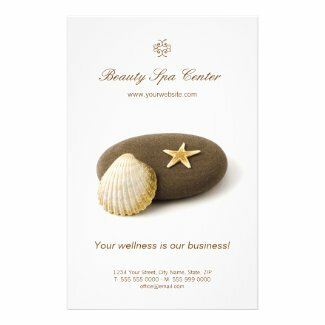 These ideas for salon flyers can be used for a Day-of-Pampering or a Spa-Day fundraising event. You can host your fundraiser at a local spa to raise funds for your charity and to help promote the spa at the same time. 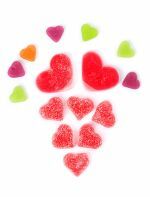 This fundraising event works very well for Mothers' Day and Valentines Day fundraisers. 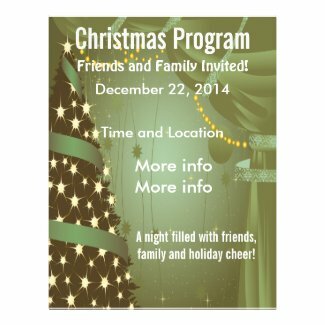 These Christmas tree shop flyer ideas will help you promote your store before the holidays. Selling Christmas trees is a great seasonal fundraiser for schools, churches, colleges and campuses, as well as youth groups and churches. You can also incorporate a Toy Drive fundraiser to attract more customers to your Christmas tree shop. 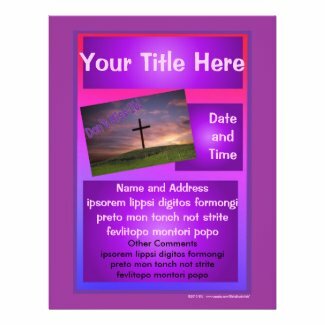 These church flyer templates can be customized to help you promote your church fundraising events. 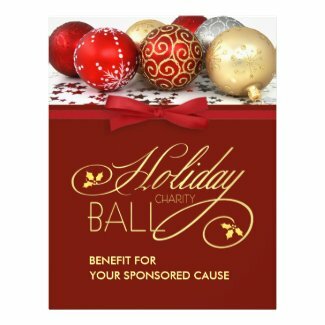 These templates and ideas for holiday flyers can be customized and personalized to suit your nonprofit organization or charity, and to advertise your holiday fundraising events. These templates and vintage flexible flyer ideas are perfectly designed for a retro or vintage-themed fundraising event. 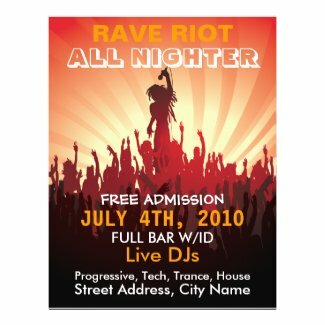 Creative ideas for rave flyers and band flyer templates can be used to promote your rave, band, concert, show, nightclub or party. 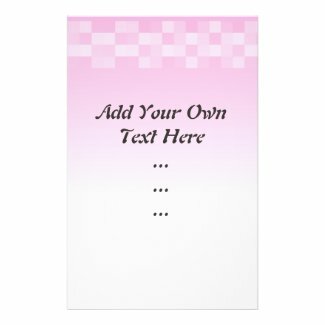 These templates can be customized for rave fundraisers and unique fundraising events.